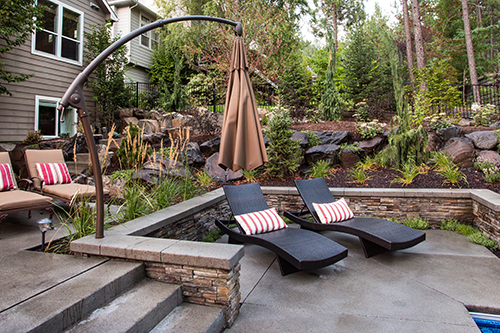 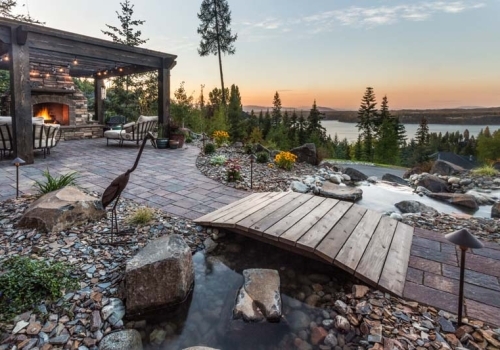 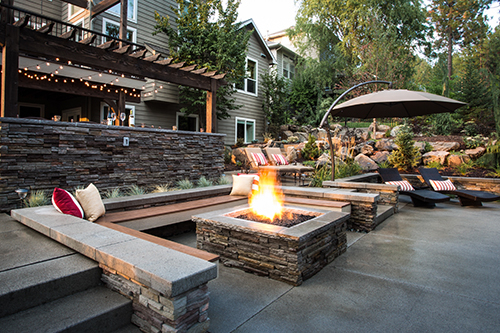 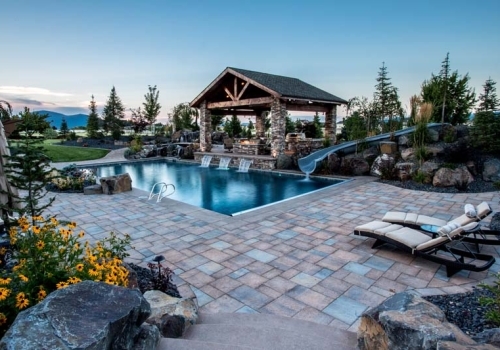 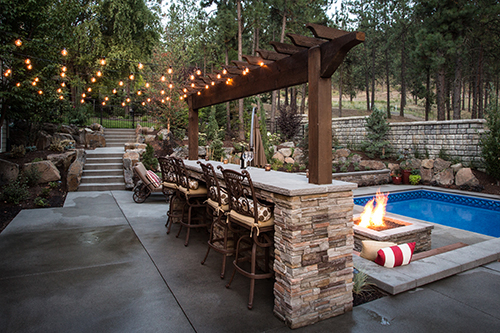 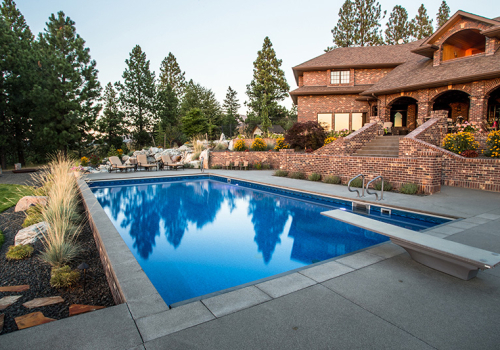 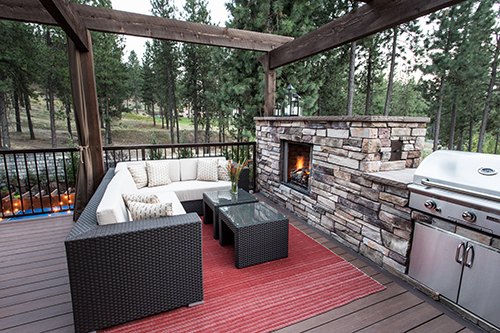 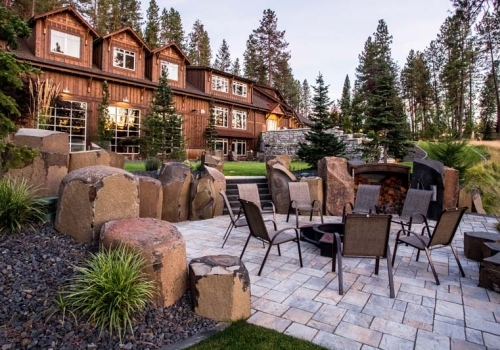 Tucked into a hillside on Spokane’s South Hill, the rustic character of rough timber pergolas and the russet tones of masonry benches and walls blend this secluded back yard with its spectacular natural setting. 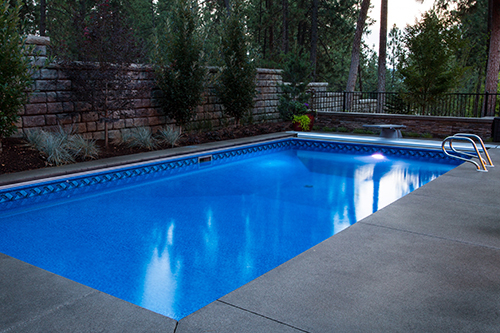 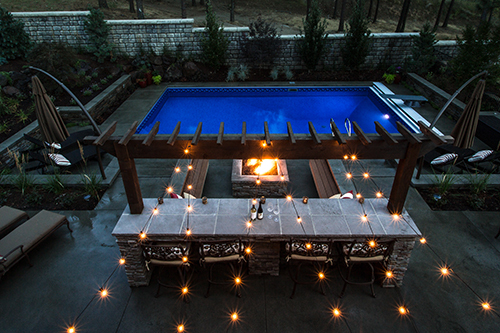 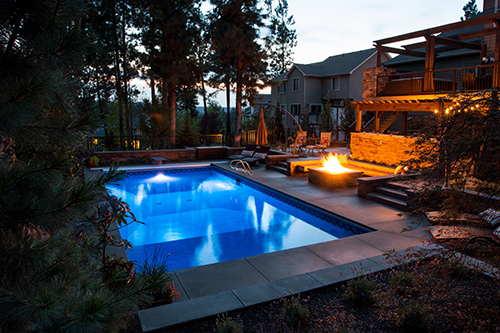 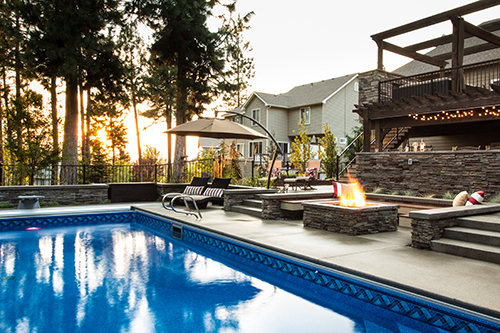 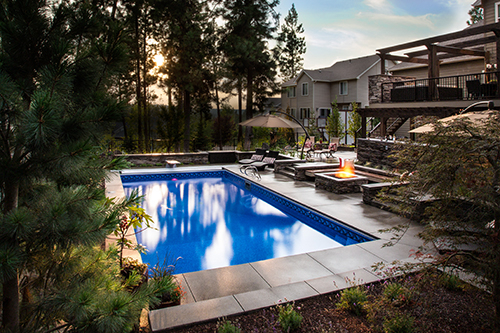 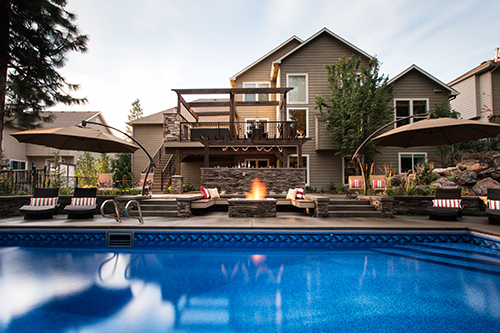 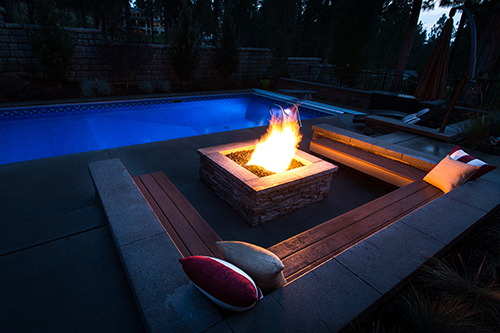 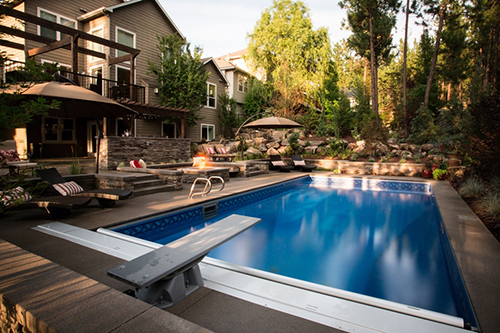 The space is designed to overcome 9’ of elevation drop while making room for a large pool, fire pit and custom bar. 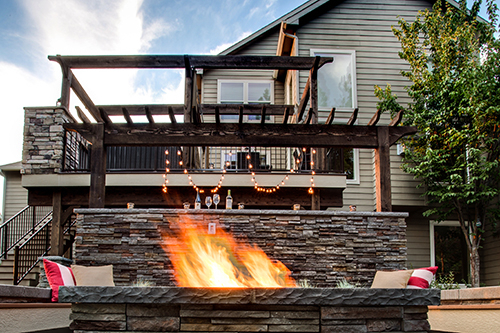 These features are terraced into the sloping sides of the yard and are positioned below a custom deck with an integral built in fire place, providing for dynamic indoor-outdoor living and entertaining.